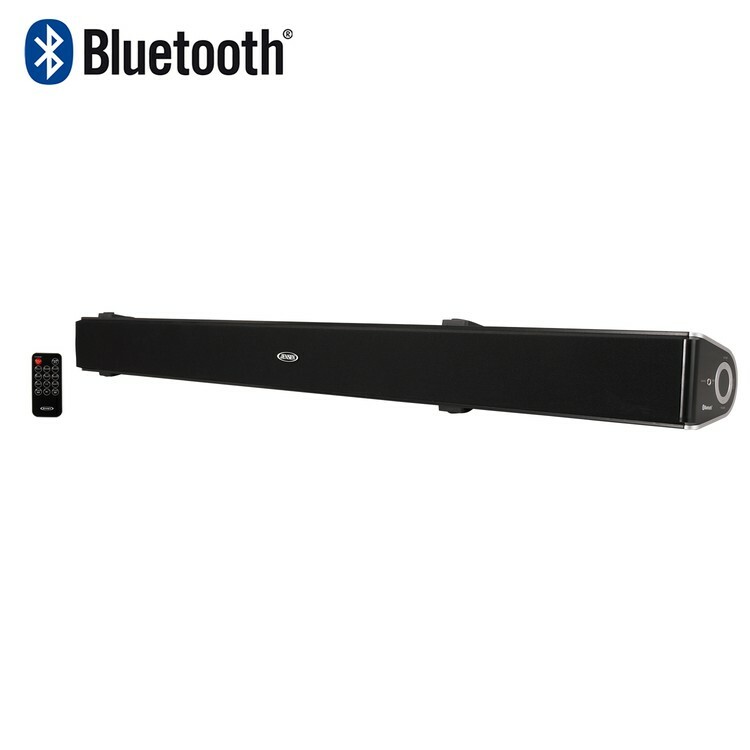 The JENSEN JSBW-650 Soundbar with built-in subwoofer is designed to give you great sound, while offering a sleek modern design. The JSBW-650 can be mounted on a wall below your flat screen television, set on a table or attach the included base and stand it in a corner; it's truly a unique and versatile design. A powerful 2.1 Channel system provides full bass support, and it completes your listening experience from movies to music. 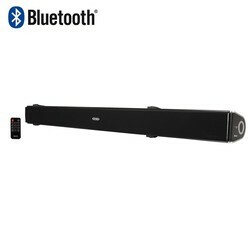 In addition, the JSBW-650 features an FM Receiver and Bluetooth connectivity. Listen to your music wirelessly from any Bluetooth-enabled device, such as a tablet or a smartphone. Easy access side panel controls and easy access connections allow for simple installation. 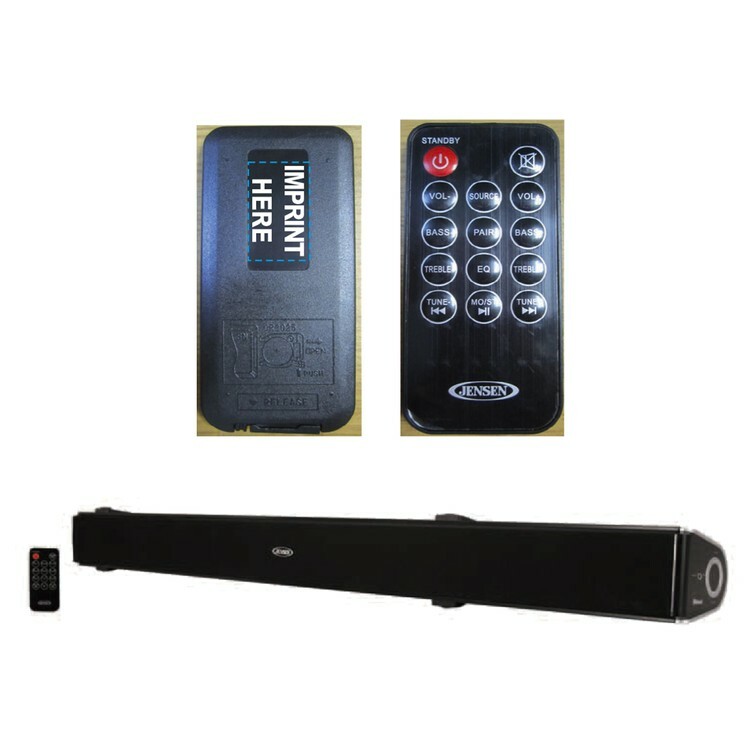 A remote control is also included, so you can adjust the sound from across the room. 120V AC Adaptor and wall mounting hardware and templates are included.